Here you'll find the complete catalog of available Butler Books titles. Books are arranged alphabetically by title. Don't see what you're looking for? Try using our handy "Search Books" feature above. You can also email us at any time about our books; we're glad to answer your questions. Happy reading! Sid, a Cirpal, wakes up with a headache and realizes he�s lost his lunch box. He searches everywhere for it. When he finds it, he learns why he had a headache! Bring your children along for a fun and lively ride on The Belle of Louisville, a steamboat that dates back to the industrial age, a time when steamboats were the rulers of transportation and the fastest roads were rivers. What did our country's Founders really say — about liberty, democracy, the role of states, the military, equal protection under the law, First Amendment rights, and more? Read their original words from the Federalist Papers, the National Archives, various presidential libraries, and other sources. Surveying the top scholars in the fields of history, political science and law, Gary L. Gregg and Mark David Hall have composed the first-ever ranking of the most important and most forgotten contributors to the American Revolution and the creation of the constitutional order that has made America what it is today. Inside you'll find engaging short biographies of the top ten members of the founding generation who are often overlooked but deserve to be remembered. This inspiring and informative book reveals the strategies, tools, and culture that completely transformed the Greater Clark County Indiana School District, with 10,600 students in 19 schools, over a three-year period, increasing its student achievement scores in literacy by 26% and in mathematics by 35%. Author Fred Schloemer's first novel follows D.W. Singer through a life spent escaping his troubles — an unhappy childhood, an unplanned pregnancy, and his years in the Vietnam War — through fantasy and make believe. The story is a tribute to the redemptive powers of community theater and the unsung heroes whose talent, dedication, and hard work have made it such an important and beloved part of the national arts scene. This is the first and only book-length biography of Alice Hegan Rice, whose bestselling novel, Mrs. Wiggs of the Cabbage Patch, has never gone out of print since its publication in 1901. Here, author Mary Boewe has researched and recounted the profound literary career of Alice and her poet husband, Cale, in the context of her fellow talented Louisville writers and the literary world at large in the first two decades of the 20th century. This full color picture book tells the story of Katie and her little brother Ace, who want to take a photo of the World's Biggest Baseball Bat, but it's too big! To get the best shot, the kids team up with dinosaurs, jellybeans, jockeys and more, and along the way learn some zany math to discover just how big the Big Bat is! This charming children's book from the Executive Director of the Louisville Slugger Museum & Factory is sure to be a home run. Historian, scholar and lecturer George H. Nash's selective bibliography of books that inspired and influenced the ideas, ideologies and personal lives of America's Founding Fathers. In this commemorative volume, the University of Louisville's Brandeis School of Law salutes Justice Louis D. Brandeis's life and career and explores his lifelong connection to his hometown of Louisville, Kentucky. With ever-changing and more complex tax laws, as well as the many purchasing and leasing options available in the market today, deciding whether your business should buy or lease a vehicle may not be obvious, and the wrong decision can cost you thousands of dollars. Author and tax expert Robert Leidgen provides a comprehensive look at all the factors that matter in the year 2015. In this heartwarming memoir, Anne Caudill — at age 89 — tells fascinating and incredible stories from her life in Appalachia with her husband, Harry Caudill, author of the 1963 book, Night Comes to the Cumberlands. She recalls historic visits by famous people, memorable moments with family and friends, and shares captivating accounts of regional legends and lore. Foreword by Wendell Berry. This beautifully illustrated, full color commemorative book showcases the best of contemporary art and architectural glass. Originally produced for the groundbreaking "Celebration of Glass" exhibit in 2003, the book now serves as a compilation of those works and a testament to the beauty of the genre. Chef Nancy Russman has worked in the kitchens of four-star restaurants and received national culinary and humanitarian awards, but her real passion has always been teaching children about healthy food. Here, she lays out easy recipes for fun snacks that teach young people how to prepare healthy foods for themselves — without using knives or stoves! Christmas is a time for memories and celebration, yet it's also ripe with emotion, drama … and revelation. Midway, KY native Bob Rouse's collection of ten holiday stories pulls at the holiday heartstrings – and taps on the funny bone – of any reader who ever experienced the warmth, the sadness, or the insanity of Christmas. In his new short story collection, Gerald Toner writes about the small miracles that are revealed to ordinary people during the Christmas holiday season. Though their occupations are as varied as the circumstances in which they find themselves, each of the book's characters, while grinding through the ordinary events of ordinary Decembers, find a moment of Christmas magic in the midst of their misadventures. For the last four decades, Mary Catherine Kirtley Young has keenly observed the ups and downs of her own life and put pen to paper to record those experiences and emotions through poetry. Now in her late years, she has collected her poems into this "bouquet" to share with her family, friends, and all who, like her, enjoy the simple pleasure of writing, reading, and identifying with a well-written poem. As human beings, we all need to be reminded of our undiscovered spiritual depth. We have many opportunities to become aware of and to continue to emerge into the sacred mystery we are: a seed of Incomprehensible Mystery. Here, Barbara Pierce MacDonald illuminates ways we can enhance our fullness of life, joy, compassion, and loving-kindness and find inner peace. Grady Clay's wide-ranging radio essays known as "Crossing the American Grain" have been a staple on Louisville's NPR station, WFPL, for many years. In this comprehensive volume, Clay has collected the best of those commentaries, discussing visual and cultural landscapes, urban design and more with the incisive insight that has made his radio shows so captivating. In this charming and practical cookbook, Courier-Journal Food Editor Sarah Fritschner presents her ultimate guide to Derby foods, menus and entertaining. She shares professional advice and practical tips on how to host and feed a houseful of Derby guests from breakfast to dinner, many days in a row. Eugene Moutoux, educator and author, taught at four universities and three high schools prior to his retirement in 2004. He has written books on sentence diagramming, Latin derivatives, and the German language and maintains a large web site that includes, among other things, a German course, Latin derivatives, and sentence diagrams. A penchant for grammar led Eugene Moutoux to a thorough study of sentence diagramming. Throughout his life he has taught at four universities and three high schools, and written books on sentence diagramming, Latin derivatives and the German language. In Drawing Sentences, Moutoux offers anyone interested in sentence diagramming an informative and instructional guide. This is Father Jerry Eifler's third and newest collection of homilies, focused on identifying and embracing the origins and sources of life's moments. 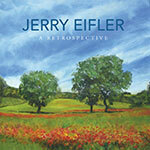 Doing this, Eifler writes, allows us to embrace reality and leads us to the true presence of God. Louisville businessman Lee B. Thomas, Jr. discusses the Quaker-based philosophy that has guided his personal life and business career at several large, successful companies. Through a series of case studies and personal experiences, Thomas illustrates the value of—the need for—a strict ethical code in today's business climate. Much more than a fine book on handwriting analysis, this is a treatise about life, human nature, and the human experience. Believing "the examined life moves naturally into the deeper questions of philosophical meanings, into the moral and ethical aspects of life," the author draws upon the wisdom of the ages found in classical literature to provide this focused and fascinating look into human nature, both material and spiritual. Virginia journalist Margaret Edds was three when her vibrant young mother died in 1950. How could she ever discover the woman she barely knew? Edds unearthed hundreds of letters that led her from southern Tennessee to a World War II city that helped birth the atomic bomb to the Kentucky coal fields and deep into the human heart. Finding Sara is a unique and heartwarming memoir that resurrects a lost relationship and a gentler America. Terry Cummins spent most of his life in schoolhouses, primarily as a high-school principal in Kentucky and Southern Indiana. In this book, Cummins, nicknamed "Top Cat" by his students, explains why the hearts and minds of teenagers are mysterious, why parents fail more often than students, why school boards don't have a clue, why teachers go batty, and how principals try to maintain their sanity. In his autobiography, Judge John S. Palmore writes about his rich and varied life, from high school and World War II through his position as chief justice of the Kentucky Supreme Court, with the wit and good humor for which he is well known. A poignant dilemma faces many interfaith couples. At the death of the beloved, how does one honor the faith of a deceased spouse and still have a funeral liturgy that consoles the survivor? Funerals for Interfaith Families is an innovative book to help priests, rabbis, and lay people create funeral services that meet the needs of couples in interfaith marriages. Gordon Galloway is a young cow who loves sugary sweets and struggles with healthy lifestyle habits. Here, readers follow Gordon to school and on a farm adventure that provides an introduction to healthy lifestyle changes and gives parents an opportunity to discuss ways the whole family can make healthier choices, too. Diabetes is now the nation's sixth leading cause of death. It is the leading cause of new cases of blindness, of non-traumatic leg amputation, and of dialysis or renal transplantation. It is also among the leading causes of heart disease and stroke. The good news is, we know how to stop diabetes. But it will take public and political will, as well as a commitment to take action at the community, state, and federal levels. Here, authors Gilbert H. Friedell, MD, and J. Isaac Joyner, MPH, outline a game plan to make that change happen. We can all act now to save lives, save money and save our nation. This book will show you how. On December 17, 1999, Rev. Henry White's 18-year-old son and only child was killed in an automobile accident. Throughout his grieving process and in a support group for similarly grieving parents, he discovered that many friends, counselors, and loved ones, while they wanted to be helpful and supportive, needed guidance on how to properly do so. This book will help ministers in particular, and others in general, know how better to console grieving parents who experience the worst tragedy a parent can know: the death of a child. In 1895, Henry Cabot Lodge and Theodore Roosevelt published 26 of their favorite stories of American heroism, courage under fire, self-sacrifice, and battles that helped shape America. This is an accurate reprint of those tales aimed at a new generation of American youth, to inspire them to learn more of our history and encourage their own acts of heroism. In this handy cookbook, Courier-Journal Food Editor Sarah Fritschner makes the holiday season easy with full menus and recipes for the busy fall celebrations of Thanksgiving, Hanukkah, Christmas, New Year's Eve and New Year's Day. Also included are Fritschner's tips and tricks for busy hosts. An investigation into the simple lines, open living areas, and natural materials at the heart of the "mid-century modern" style of architecture, this book details 43 houses designed and built by Richard B. Isenhour in the Lexington, Kentucky, area from 1956 to 1978. Presented chronologically, the book shows the evolution of an exemplary mid-century designer. Today's youth are immersed in a culture of bullying, mass shootings, hate crimes, domestic abuse, violent TV shows, "first-person shooter" video games, and more. This book reveals sobering statistics, anecdotes, and stories that paint a clear picture of the world in which we now live — then provides a comprehensive set of over 400 thoroughly-researched best practices, solutions, and action steps that can help equip our children with the social skills and protective factors necessary to survive and thrive well into adulthood. Includes strategies for law enforcement, school administrators, counselors, psychologists, churches, parents, and others. As an award-winning performing artist, educator, composer, author, and life transformation coach, Harry Pickens shares a lifetime of wisdom condensed into 38 brief essays exploring creativity, purpose, music, and the keys to a meaningful life. Dr. Clifford Kuhn has modeled his psychiatric practice and his therapeutic mission around the use of humor to overcome stress and fear, survive grief and setbacks, heal the body and mind, and achieve something increasingly elusive today: being happy! A lovely full-color book of photographs showcasing over 90 oil paintings and watercolors Jerry has created over the last five decades of his life. His works of art are a testament to Jerry's ability, through his creative lens, to see extraordinary beauty and mystery in ordinary life, and to inspire us to live our own lives more creatively, more deeply, more richly, and more fully. In his inaugural cookbook, the chef and owner of Lexington's acclaimed Jonathan at Gratz Park restaurant invites you into his kitchen and shares his secrets for preparing many of his sumptuous and award-winning dishes, which blend the traditional foods of the Bluegrass Region with modern world cuisine. Includes 147 recipes and over 100 photographs. For the first time ever, Julius Friedman, one of America's most prolific and versatile artists, photographers and graphic designers of the modern era, presents the output of a lifetime in this beautiful, full-color coffee-table book. Herein Friedman explores his life, his processes, and his complete works to date, giving readers a glimpse into the mind and instincts of the artist, and moreover exploring the processes that power art in all media around the world. Keats descendant Lawrence M. Crutcher has researched and written about every known member of the extended family of the poet John Keats, stretching from Keats' great-grandparents down through the ninth generation issue of his siblings and cousins. The family includes numerous writers, business and professional people, as well as a few reprobates. Seventy-four lawyers reflect on their lifetimes of experience and insight working in the Commonwealth of Kentucky. For law students and students of history, this is an invaluable collection of one-on-one interviews with senior members of the Kentucky Bar, who have left indelible marks on the legal profession in Kentucky. Over forty years, Leonard and Adele Leight have assembled one of the foremost studio art glass collections in the United States, which is exquisitely situated throughout their home and intermingled with their ceramic and furniture collection. The Leight House is not only a room-by-room depiction of the Leights' collection and the architecture that displays it, but a story of how two people collaborated in building what is truly an exceptional home museum. Betty Southard Stokes wrote Leslie's Dream in 1980 for her daughters, Leslie Ann Stokes and Amy Elizabeth Stokes, to help them learn the true meaning of Christmas. When former Roman Catholic priest and licensed clinical social worker Don Vowels was diagnosed with cancer during a routine colonoscopy in January 2012, he started writing a journal on the Caring Bridge website to inform family and friends of his health status and to use writing as a method for processing his emotional, mental, and spiritual reactions to living with cancer. In his journal entries, the theme of practicing present-moment awareness emerged as a powerful tool to bring peace. This is the collection of Don's writings and journey. Father Jerry Eifler's first collection of homilies, first published in May 2003 and reprinted to continue Father Eifler's legacy. Over a decade later, Linger and Be Available still offers the same timeless insight and spiritual wisdom that parishioners and readers have long enjoyed from the Roman Catholic priest and author. After years of research and personal transitions, 71-year-old author Sharon P. S. Marx has written the definitive guide to dating later in one's life. In it, she dispels the common myths and anxieties and outlines specific steps that can lead to a personally gratifying relationship at any age. With wit, candor, and a lighthearted conversational style, Marx urges her contemporaries to get out into the real world and start dating again -- because companionship never grows old. Whatever happened to Lydia Bennett, the brash troublemaker from Jane Austen's Pride and Prejudice? Did she continue to wreak havoc with her impulsive ways? Or did married life help her settle down? Lovingly Yours, Lydia lets us peek into her diary, her correspondence, and the letters of her friends and family. From the manor houses of Regency England, to the battlefields at Waterloo, Lydia is always in the thick of things. After being diagnosed with prostate cancer himself, author Charles Eric Green found that prostate cancer is often too taboo a subject for public discussion among most men. He wrote this book to help change the public conversation about prostate health, and to help men communicate with other men about this very important subject. In this touching and true children's story, a young girl discovers the identity of the uniformed man whose photograph hangs in her grandparents' home. She learns about the man's life as he grew from an excited little boy to a young man who made the ultimate sacrifice during the Vietnam War. The book serves as a reminder of the more than 58,000 lives lost during this tumultuous time in American history. Based on his own remarkable career, Bill Lamb has written a lively, readable, believable, and truly vital book for managers at all levels in enterprises of all types and sizes. In this instructive and insightful new book, Lamb suggests that managers, if they hope to be successful, must ground their organization's core principles in a solid foundation and ensure, always, that excellence comes first. Every foodie is in search of the perfect bite. Chef and author Barbara Werner is wowing them by taking them on a journey through a new world of pairing music with food and beverages, using a simple mathematical formula. Musical pairing can teach you how to raise a good dish to greatness and a great dish to near perfection, landing happily at the perfect meal! For over a quarter-century, popular television host and producer Dave Shuffett has traveled thousands of miles across Kentucky, interviewing people and photographing places that showcase what is unique and extraordinary about the beloved Bluegrass State. Here he shares over 100 pages of his favorite photographs and essays from those travels, opening our eyes and our hearts to the rich heritage, fascinating people, colorful culture and pure natural beauty of the Commonwealth. Throughout her colorful career—as Miss America and First Lady of Kentucky, and as a pioneering sportscaster, entrepreneur, actor and author—Phyllis George has had to take risks, overcome challenges, and reinvent herself many times in her life. In Never Say Never, she reveals how an indomitable spirit, positive outlook, courage and adaptability has helped her—and can help you—face and learn lessons from each challenging chapter in life. Jim Bolen's official memoir recounts a life lived so on-the-edge dangerously that you'll insist — as everyone else has — that he shouldn't have made it through. No Guts, No Glory is the hard-knuckle first-hand account of a man whose fierce dedication to justice and fearless sense of adventure have taken him around the world standing up to and fighting down a laundry list of dishonorable and violent men, from belligerent off-duty police officers to South African terrorists. In this unique book, Dr. Fred Schloemer addresses a little-discussed area of family health: how to parent children who have become adults themselves. With issues ranging from overdependence to estrangement, step-parenting, substance abuse, and more, the book offers a variety of case studies from Schloemer's years of practice, and reveals insights and interventions to help parents of adult children deal with these very real but often overlooked issues. Through candid stories and personal recollections, 54 of Louisville's most influential leaders reveal a lifetime of wisdom and insight, along with lessons they have learned over the years, as they prepare to "pass the torch" to the next generation of Louisville leaders. As the definitive collection of stories and photographs compiled from the archives of Sister Cities International and its members, this beautiful keepsake volume documents, for the first time, the rich and colorful history of the sister city movement around the world. A 50th anniversary commemorative book. This children's book tells the true story of a champion greyhound named Pele, who started racing professionally at age two and was retired at age five. Pele won 20 of the 114 races he ran in his lifetime. When he was six years old, he was adopted by Jessica and Paul, who lived in Boston, Massachusetts. This biography explores the life of Charles S. Todd, a patriotic Whig gentleman, farmer, father, lawyer, and army colonel who served in the War of 1812 and later became a political agent, ambassador, and champion of the cultural and industrial revolutions in 19th-century America. Todd's evolution reflects a turbulent time in America, when social and class distinctions were upended, new lands were opened to settlement, and the Civil War ended slavery and the plantation lifestyle to which Todd had been born. Dr. John Buchino writes about that most prevalent and unrecognized pastime in America: sitting on the front porch. In this quirky and fun collection, Buchino extols the heady virtues of the porching life, and makes a strong case for porching's health and wellness benefits. These postcards from Abraham Lincoln, written to his friend Joshua Speed's mother, Lucy Speed, at Farmington Plantation in Louisville, Kentucky, are just pretend. But while this fun and educational book may not contain true artifacts, it does provide an honest recollection of Lincoln's childhood, challenges, and career, culminating in his being elected to serve as the 16th president of the United States of America. While this fun and educational book may not contain true artifacts, it provides an honest recollection of Daniel Boone's thoughts and discoveries as he explored the Kentucky wilderness from 1755-1784. Third in a series of historical postcard books created by award-winning Kentucky educator Betty Southard Stokes, this book is a perfect way to teach history to children in a fun, imaginative way. This fun and educational collection may not contain true artifacts (as postcards were not invented until after Clark had passed away), but it does provide an honest recollection of George Rogers Clark's thoughts and discoveries through a series of fictional postcards to his brothers, Edmund and William Clark, and his sister, Lucy Clark. This book is perfect for teaching history to children in a fun, imaginative way. Rather than living luxuriously, Louisville industrialist and philanthropist H. Charles Grawemeyer wanted to use his wealth to, in his words, "help make the world a better place." In 1984 he endowed the Grawemeyer Awards, a series of awards established to pay homage to creativity and genius in areas of human endeavor too much ignored by other awards: in Music, Political Science, Education, Religion and Psychology. The Power of Ideas is the second volume in commemoration of these awards and their recipients—picking up where the first volume left off, in 1997, to showcase the last 10 years of profound innovations. Teachers, scholars, and students of American history will appreciate the combination of practical advice about teaching American history and the examples of first-rate historical analysis found in Rethinking the Teaching of American History. Written with American history teachers in mind, the essays included in this volume will provoke both the novice and the experienced history teacher to rethink how they approach their academic discipline and professional craft. Starting from a small stream in a Pennsylvania woodland, this illustrated educational book follows the seasons of river life along three connected rivers: the Allegheny during spring, the Ohio during summer and the Lower Mississippi during fall. A great addition to children's literature about rivers and river life. A truly special event, Romany Marie puts readers at the table to engage in a remarkable conversation with the indomitable woman who, for three generations, was hailed as an earth mother by a wide and now-legendary range of intellectuals, artists and bohemians who gathered in New York City's Greenwich Village in the early half of the 20th century. This collection of essays, hand-picked by former Courier-Journal Book Editor Keith Runyon, offers a decade's worth of the author's rich insights, reflecting on the many challenges and wonderments that the world offers us, and providing "markers along the path" as we make our way along the circular path to our personal center. Former U.S. Senator Robert C. Byrd (D-WV) served in the Senate longer than any other man in U.S. history. In this slim volume, he discusses some of the lessons he learned during his time in the Senate, and makes a strong call to defend the institution in the 21st century. It is an instructive volume on the origins, evolution, and current functioning of the U.S. Senate. Cop, Secret Service agent, private consultant, and bodyguard … Greg Gitschier has led an exciting life. He's protected presidents and royalty, tracked down international criminals, and cracked tough cases. He now serves as a deacon in the Catholic Church, a police chaplain, and Secret Service chaplain. This book shares the raw, the routine, the gritty, and the grand moments of a life in both Secret Service and sacred service. After discovering the mysterious powers of a musty old Scottish sporran, sixth-grader Jacob Boyd is plunged into a dangerous adventure deep in the catacombs beneath Edinburgh Castle, where unseen perils—and the fate of the world—await him in the dark. For young adult readers, this is the start of an exciting new series. In this full-color, coffee-table anthology of American history from the Mayflower Compact to the present day, readers can learn about the struggle for Independence, the arguments over Constitutional ratification, slavery and Civil War, westward expansion, America's evolving role in world affairs, and the continuing march toward a more pluralistic society. Stricken by a major stroke at age 35, Andrew Fisher tells the amazing story of his sudden illness and the innovative neurologist at the University of Louisville Hospital whose treatment saved his life. Told with an unflinching honesty, Andrew's story is riveting and alarming, yet uplifting and hopeful. This full-color illustrated children's book tells the story of a typical day on the horse farm of Windy Meadows Stables, located in the L'Esprit equestrian community of LaGrange, Kentucky. 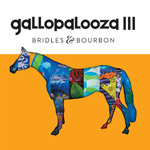 Told through the eyes of the colorful horse characters who live in its barns, The Tails of Windy Meadows encourages horse lovers to visit the picturesque stables where nearly 100 horses—from riding lesson horses to national racing retirees—call home. "Entertaining should never be intimidating," says Tim Laird, dubbed America's Chief Entertaining Officer. Here Tim has compiled over 300 full-color pages of his much-celebrated tips and tricks for hosting simple but show-stopping occasions of all kinds. Whether you're screening The Big Game, celebrating Valentine's Day or having Tapas Night, Tim offers tantalizing menus, creative cocktails, and all kinds of insightful advice from start to finish. 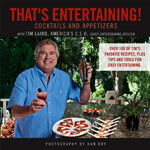 Popular media personality and Chief Entertaining Officer Tim Laird's hand-picked collection of some of his favorite cocktail recipes, coupled with delicious appetizers that are easy to prepare, but can make any host look like a pro. The book offers easy-to-follow guides for party planners, featuring over 100 show-stopping but simple-to-make recipes. The popular radio essay series focuses its attention on Kentucky voices and themes in this new book from This I Believe, Inc. Here, 60 authors who are either from Kentucky or who are writing about Kentucky provide thoughtful explorations of their core values and guiding principles, including Muhammad Ali, Tori Murden McClure, Frank X Walker, Silas House, Sena Jeter Naslund, and many others from all walks of life. This illustrated children's book tells the sweet story of two mice, Melvin and Peppy, and the lessons they learned through their encounters with a cat named Midnight. The book encourages young children to not fear or believe the worst about people until they get to know them and give them a chance. In this book on leadership, author Tom Harper spins a Biblical leadership fable full of twists and confrontations as employees try to save their company — and themselves. The book also includes scripture-based lessons to help leaders unlock reality in their own organizations. Designed specifically for children ages 2-5, this enchanting new book teaches kids to dance using author Morgan Grubola's new M.E.G. (Movement, Expression and Growth) technique. To activate both body and mind, Grubola offers 19 different exercises that develop strength and flexibility, promote intellectual growth, and encourage performance skills in young students — while using their imaginations to dance with fanciful animals of all shapes and sizes! APRN Kim Evans describes how the United States can transform its broken disease-care system into a model of compassion focused on health, wellness, and disease prevention. More than simply criticizing our ailing healthcare system, Evans brings practical solutions that can reform the system from top to bottom. This small but crucial guide shows you in easy-to-understand language how to identify and treat a range of common travel maladies, especially useful for adventure travelers. The book also addresses more general issues to help you get the most out of your journeys. Longtime German language teacher and author Gene Moutoux here reprints a selection of fairy tales from the Brothers Grimm in their original German for use as language learning tools. Includes the full story texts, plus vocabulary blocks, footnotes, and a glossary. If you've begun to learn German, this book will be a uniquely fun and adventurous way to develop your vocabulary and grammar. Kentucky Monthly magazine publisher Stephen M. Vest offers readers a unique and nostalgic collection of family tales. Through a series of real-life vignettes exploring the relationships within his own feisty, fascinating family, Vest uncovers the many values, traits, and life lessons — often unexpected — that he inherited from his older parents, domineering grandmother, and other colorful characters who influenced his life. In this gentle and contemplative volume, Father Jerry Eifler continues his exploration of spiritual issues with a new compilation of essays and homilies about the journey from birth to death—and what we should leave behind as we go. Includes a foreword by Dr. Paul J. Weber. Author Eugene Moutoux examines Christianity's origin, its purported revelations, its sacred book, its moral principles, its doctrines, its theology, its history, and its effects on society. The purpose of the book is to show that religious certainty flies in the face of evidence and rational thought, and that doubt ought to be a sine qua non for Christians. This new work of historical fiction from author Fred Schloemer explores life in Kentucky during the buildup to the Civil War. In it, Sarah Brinley is a plain spinster from Pittsburgh, recently impoverished by the death of her abolitionist parents. Desperate for work, she accepts a post as governess for the son of a wealthy Kentucky planter – but once there, she finds the job, the plantation, and its people far from what she expected. Where the River Birches Beckon puts a fresh and romantic spin on actual events and people in a suspenseful tale of love, loss, courage, and loyalty. The coauthor of the successful business book, Who Killed Change?, turns his attention to another victim found in all kinds of businesses: Accountability. How can we increase accountability in our organizations and decrease the frustrations of our employees? That's what you will learn in this witty whodunit in which an important Change has died and Accountability is arrested and accused of involuntary manslaughter. Fr. Larry Hehman has facilitated a divine conversation by preaching The Word and providing moments that encourage everyone to listen deeply beyond his words, consider mysteries beyond human understanding, and become more and more aware of God's own voice and presence in a dialogue that can only be understood by grace.